The Banana Club Museum, located in Mecca, California, houses the world’s largest collection devoted to any one fruit, containing more than 17,000 banana items. I continued on the cold track and kept my eyes peeled for banana flavored frozen yogurt and ice-cream. At first, I was unsuccessful. I even got a few strange looks when I asked if the markets, stores, etc. sold banana flavor. However, little did I know our local Twistee Treat does in fact offer an add-in flavor option of banana! Though it has a somewhat “artificial” kick to it, I was quite impressed. As far as frozen yogurt goes, Menchies by Boot Ranch Target is consistently exchanging their flavors, so I assumed I would eventually see a banana flavor and I was right. I grabbed about five of the sample cups just to really get a feel for it before I bought it, and I loved it! My favorite banana flavored item was distinguished! But did I stop there? No, I did not. In fact, I was so impressed that I began going a bit overboard. My mom began coming home from the grocery store with not only bananas themselves but also banana chips, banana yogurt, and banana bread. I also went to an organic popsicle store in Hyde Park, right outside of downtown Tampa, and ordered the vanilla banana flavor and it was truly one of the best popsicles I have ever had. My entire family and all my friends became invested in buying me anything and everything they saw with the word “banana” on it. Just out of curiosity, I researched the health benefits associated with bananas being that I was consuming a decent amount of them and the results were fascinating. 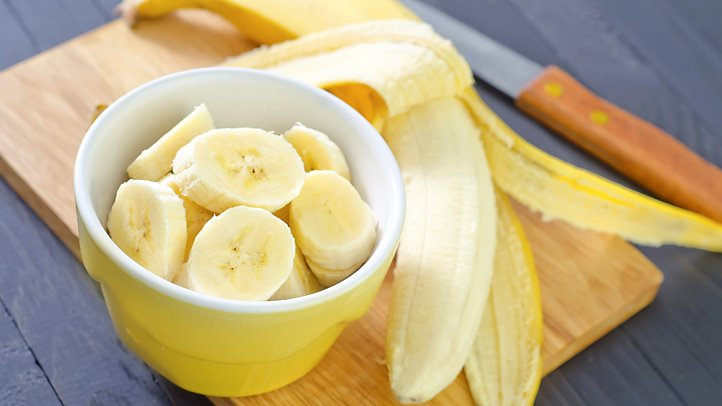 Bananas are a good source of potassium, magnesium, vitamin C, fiber and are rich in vitamin B6. They provide a strong source of energy and are not only cheap, but available throughout the entire year. Bananas may also naturally help people overcome depression, as research shows that serotonin and norepinephrine exist in bananas. As of now, I am still on the lookout for new and exciting things to try and have been thoroughly enjoying this fun experiment. If you are a fan of this delicious yellow fruit, give the frozen yogurt or popsicle a try! You will not be disappointed.